Internet that reaches the parts others cannot reach! With ThinkingWISP you don't have to wait for broadband to come to your door! Government minister promises superfast broadband for rural Norfolk homes by 2020 - but with ThinkingWISP you don't have to wait two years. A business model is a generalised notion of the core aspects of how an organisation works. 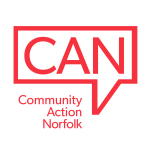 Norfolk Community Foundation has published the 2016 Vital Signs Report which provides a picture of life in Norfolk. The Norfolk Economic Intelligence Report for July – September has been released. The Care Act 2014 aims to modernise adult social care law. Section 5 of the Act creates a general duty for local authorities to promote diversity and quality in the market of care and support providers for people in their local area. This is called Market Shaping and it is important as its function is to ensure the increasing demand for care and support services and changing expectations about choices in the type and quality of services that people in Norfolk want can be satisfied.